It is less of an issue in France, where typical grocery store packaging might include two chicken breasts, six sausages, four steaks, but in the United States, everything is “supersized” I end up with bits and pieces in my freezer. 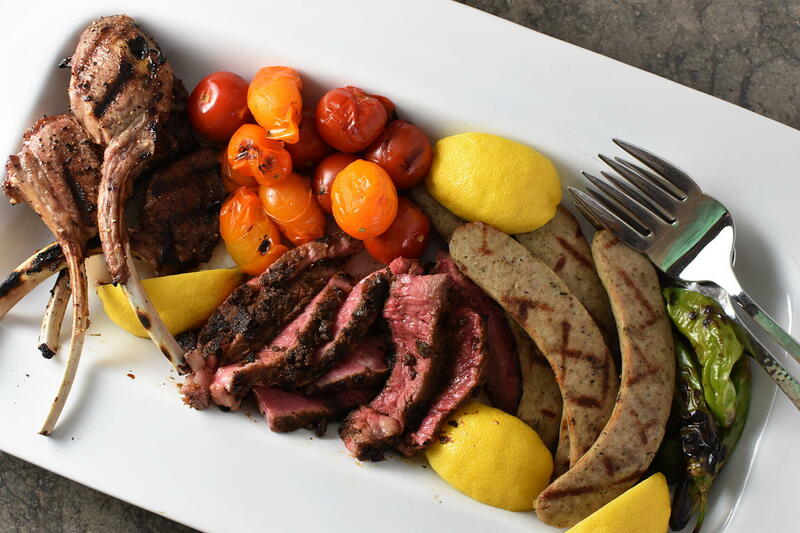 The good news is that cleaning out my fridge is the perfect excuse to invite some friends over for a mixed grill barbeque dinner. There was also some incentive to create a food-pairing that would stand up to the hearty 2016 vintage of Domaine Pey Blac Instinct a red wine blend of Carignan, Marselan, and Grenache noir grapes. 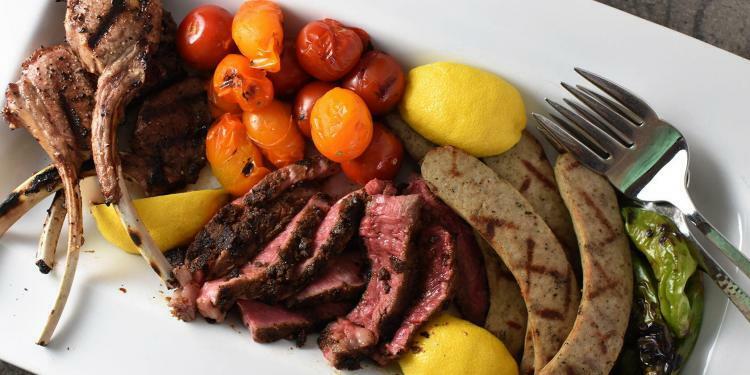 Enjoy this recipe for porcini-rubbed steak was the food-lovers answer to that wine question. Recipe adapted from the from Mozza cookbook. Mix the first five ingredients in a spice grinder. Place the spice mix on a large plate. Dredge each steak, pressing the porcini mixture into the flesh on both sides. Reserve any porcini rub that didn’t adhere to the steaks. Wrap the steaks tightly in plastic and refrigerate for 4-8 hours. 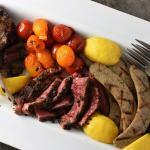 Take the steaks out of the refrigerator 30 minutes prior to cooking. Remove the plastic wrap and use the reserved porcini rub to re-coat the steaks. Let them sit and come to room temperature. Heat a cast iron pan over high. When hot, sprinkle the pan with salt - about 1/2 teaspoon. Season the steaks with additional salt and pepper, then add to the skillet. Cook the steaks for several minutes each side, until done to your liking. I seared them 4 minutes on the first side, and 3 for the second. Allow the steaks to rest for a few minutes after coming out of the pan. Slice the steaks and serve with some arugula, with olive oil, and a squeeze of lemon over all. I do not recommend grilling the steaks over a flame; I found the porcini rub and flavor burn away. Using a cast iron skillet gave me the best caramelization without losing the porcini flavor. I purchased my European porcini powder from Far West Fungi in the Ferry Building in San Francisco; you can order from them online or make your own by running porcini mushrooms in a spice grinder. For my mixed grill, in addition to the steak, I served a few lamb riblets - (simply seasoned with salt and pepper, then grilled a minute or so each side), German-style Weißwurst (which are fully cooked and needed only a warming on the grill, grilled cherry tomatoes, and some shishito peppers. If you are only making one steak, I suggest keeping the remaining porcini rub in a glass jar in your freezer.